Q. Are EQ cuts more effective on electric guitar than EQ boosts? 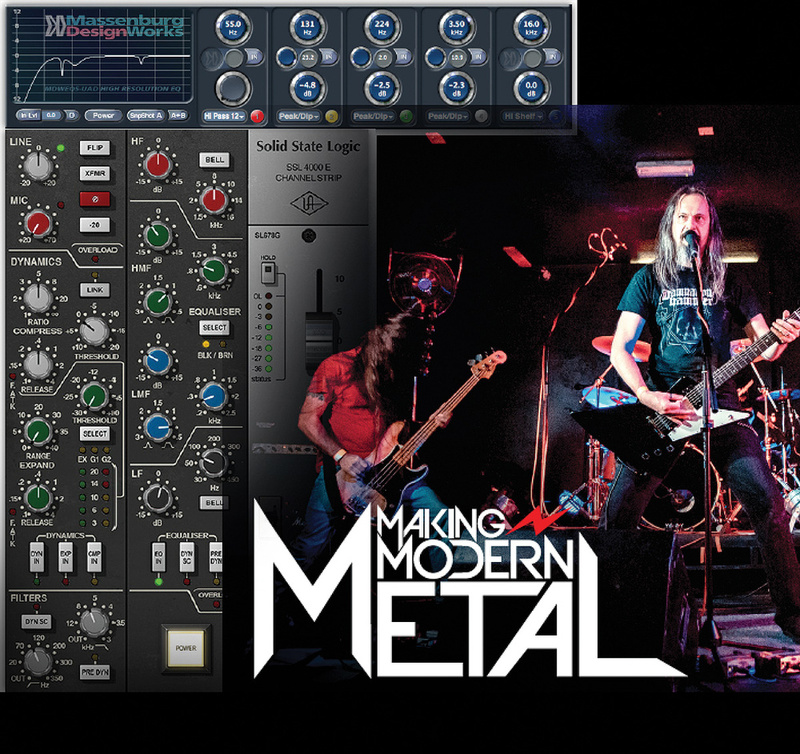 In his Making Modern Metal series in SOS, Mark Mynett recommended subtractive EQ rather than boosts for heavy electric guitars... but why? 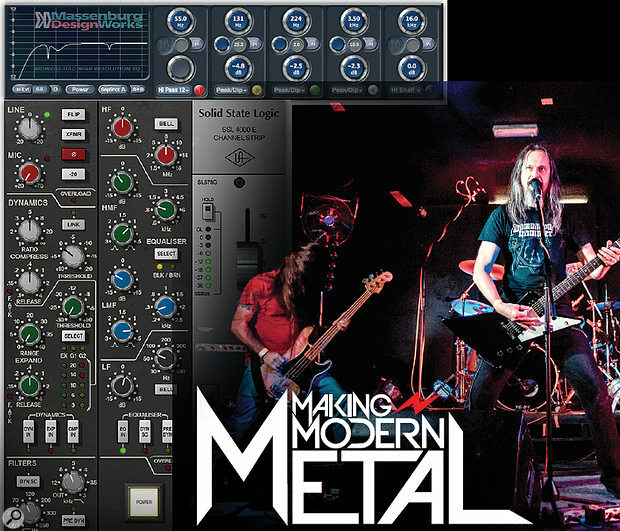 I enjoyed Mark Mynett’s recent Making Modern Metal series in SOS, but didn’t understand why he suggested that when EQ’ing heavy guitars he prefers to focus on cuts rather than boosts. Why can’t the same results be achieved with boosts? SOS Contributor Mark Mynett replies: I’m glad you enjoyed the series! You’re right that EQ generally adheres to a sort of yin and yang principle: you can choose to make a sound ‘brighter’ by boosting the ‘bright’ frequencies or by removing some of the low-mids; other than for the difference in overall level, you can arrive at pretty much the same result. But while this principle is fine for broader EQ moves, it falls down when it comes to narrow-bandwidth (high-Q) corrective EQ, and this is particularly relevant to working with heavy rhythm guitars. (It doesn’t apply only to heavy guitars — check out the numerous tight/‘surgical’ EQ cuts applied by Tom Elmhirst on Amy Winehouse’s ‘Rehab‘ vocal, as described in SOS August 2007’s Inside Track: www.soundonsound.com/techniques/secrets-mix-engineers-tom-elmhirst). Very few sounds in the natural world have a heavily emphasised narrow range of frequencies. Significant boosts with a very tight/narrow Q therefore tend to sound unnatural, which for most sources is not good news. By contrast, using narrow cuts to nix unwanted, unnatural-sounding resonances that already exist in a source can make a sound seem more natural. The relationship between musical intervals and the frequency spectrum is also relevant. For instance, when guitars are down-tuned to B the musical interval from B on the lowest open string (61.7Hz) to first-fret C (65.4Hz) spans less than 4Hz, while the same musical interval four octaves higher spans 60Hz. So when sweeping a narrow-Q cut across a rhythm guitar’s low frequencies it’s really important to assess the impact of very small adjustments to the centre frequency. The narrower frequency range between the lower musical notes means somewhat tighter low-end EQ boosts can also sound relatively natural in this region. In fact, in this role I tend to prefer a more constrained peaking EQ to a far-less-focussed shelf. These points apply to EQ generally, but there are some special considerations when working with heavy distorted guitars. Distortion alters the intensity of a signal’s harmonics, and thus the balance of its harmonic series; the existing harmonics of the guitar get strengthened to varying degrees, resulting in compression (the ascending harmonic series becomes far more even in amplitude). Distortion also adds/intensifies high harmonics which are very weak and often inaudible in the original part, extending the processed guitar’s harmonic series further up the spectrum. (Hence we can perceive heavy, distorted guitars as being aggressively bright). Furthermore, intermodulation distortion generates overtones at the sum and difference of the fundamental frequencies and, depending on the degree of distortion, in between the harmonics too. Distorted electric guitar signals thus tend to contain awkward resonances at numerous different frequencies, and this can be compounded by down-tuning and fast performance subdivisions, as well as any resonances inherent in the guitar, amp, speaker, cabinet, room or mic! It’s also worth pointing out that these unwanted qualities can be accentuated when another rhythm part is panned to the same speaker (for example, when quad-tracking, as in the Making Modern Metal articles). Such resonances not only tend to result in a less pleasing heavy rhythm guitar sound, but also increase the extent to which the guitars obscure (‘mask’) other sounds in the mix. The faster and denser the performances and the sounds being used, the greater the likelihood of different sounds clashing with and undermining each other. To address this, unwanted resonances in the guitar parts must be tackled. While minimising the influence of these resonances without losing the power of the guitars and, by extension, the mix as a whole can be a significant challenge, it’s almost always easier and more effective to reduce the influence of this detrimental energy via narrow EQ cuts than by boosting frequencies in surrounding areas. This is especially the case when cutting resonant, droning energy in the low frequencies (around 125-220 Hz), which often results in a clearer, harder low-end weight. But the vast majority of high-gain rhythm-guitar signals also contain at least some counter-productive content in the mids too; the less controlled the acoustics of the recording environment, and the greater the influence of distortion at source, the more likely this will be the case. Muddy content can reside at 200-300 Hz, woolly-sounding low mids closer to 400Hz, nasal qualities around 500-800 Hz, and abrasive content between 2.5 and 4 kHz. While numerous deep, surgical EQ cuts inevitably make for a much thinner rhythm sound in isolation, they mean minimal mix real-estate is wasted on boomy, resonant, or less-essential energy, and a sharp, precise and heavy guitar sound is still perfectly achievable. A great example of such a guitar sound (thinner, with a decreased emphasis on low-end weight), can be heard in ‘Evangelion’ by Behemoth, which was mixed by Colin Richardson. Compared with a Slash-style mids-heavy tone, the ‘Evangelion’ rhythm sound seems positively emaciated but in the context of the production, which often involves very fast performance subdivisions, the guitars sound heavy, yet clearly defined. Importantly, they leave enough space for the drums and bass to do their thing: they remain both intelligible and punchy.